Join us for our quarter-end strategy update webcast. 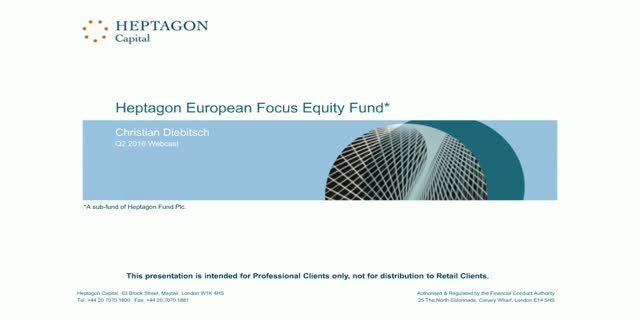 Engage with portfolio manager, Christian Diebitsch, to learn about what drove second-quarter performance, the portfolio manager's outlook, and current portfolio positioning. In addition to discussing the fund, the manager will also be addressing the implications of Brexit.